In Various Claimants v WM Morrisons Supermarkets Plc (Rev 1)  EWHC 3113 (QB),  3 WLR 691, Mr Justice Langstaff held that W M Morrisons Supermarket Plc ("Morrisons") was vicariously liable to its employees for the unauthorized act of one Skelton, an internal auditor, who had posted the names, addresses, gender, dates of birth, phone numbers (home or mobile), national insurance numbers, bank sort codes, bank account numbers and salaries of Morrisons' employees to a file sharing website. Skelton had acted as he did out of spite. He had a grudge against Morrisons and wanted to injure the company. The judge acknowledged at para  of his judgment that the effect of his judgment was to accomplish that injury and for that reason he gave the supermarket chain permission to appeal. I commented on the case in Morrisons - Primary and Vicarious Liability for Breaches of Data Protection Act 1998 11 Dec 2017. "First, the Judge ought to have concluded that, on its proper interpretation and having regard to the nature and purposes of the statutory scheme, [the Data Protection Act 1998 ("the DPA")] excludes the application of vicarious liability. Second, the Judge ought to have concluded that, on its proper interpretation, the DPA excludes the application of causes of action for misuse of private information and breach of confidence and/or the imposition of vicarious liability for breaches of the same. Third, the Judge was wrong to conclude (a) that the wrongful acts of Mr Skelton occurred during the course of his employment by Morrisons, and, accordingly, (b) that Morrisons was vicariously liable for those wrongful acts." By their respondents' notice, the claimants sought to uphold the judge's order on the additional ground "that, in evaluating whether there was a sufficient connection between Mr Skelton's employment and his wrongful conduct to make it right for Morrisons to be held vicariously liable, the Judge ought to have taken into account that Mr Skelton's job included the task or duty delegated to him by Morrisons of preserving confidentiality in the claimants' payroll information." The appeal came on before the Master of the Rolls and Lord Justices Bean and Flaux who heard the appeal on the 9 and 10 Oct and delivered judgment on 22 Oct 2018. Their lorsdhips dismissed Morrisons' appeal. "If the statutory code covers precisely the same ground as vicarious liability at common law, and the two are inconsistent with each other in one or more substantial respects, then the common law remedy will almost certainly have been excluded by necessary implication. As Lord Dyson said in the Child Poverty Action Group case (at ) the question is whether, looked at as a whole, the common law remedy would be incompatible with the statutory scheme and therefore could not have been intended to coexist with it." "Morrisons' acceptance that the causes of action at common law and in equity operate in parallel with the DPA in respect of the primary liability of the wrongdoer for the wrongful processing of personal data while at the same time contending that vicarious liability for the same causes of action has been excluded by the DPA is, on the face of it, a difficult line to tread." "...... the difficulty of treading that line becomes insuperable on the facts of the present case because, as was emphasised by Mr Barnes [the claimants' counsel], the DPA says nothing at all about the liability of an employer, who is not a data controller, for breaches of the DPA by an employee who is a data controller." The concession that the causes of action for misuse of private information and breach of confidence are not excluded by the Act in respect of the wrongful processing of data within the ambit of the statute, and the complete absence of any provision addressing the situation of an employer where an employee data controller breaches the requirements of the Act, led inevitably to the conclusion that the Mr Justice Langstaff was correct to hold that the common law remedy of vicarious liability of the employer was not expressly or impliedly excluded by the Act. As noted above, the trial judge had been troubled by the thought that the court was facilitating Skelton's wrongdoing. 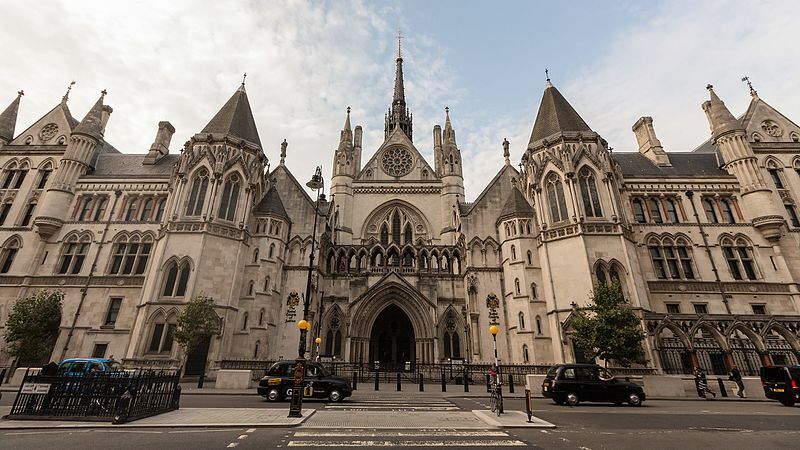 The Court of Appeal noted at para  that it had not been shown any reported case in which the motive of the employee committing the wrongdoing was to harm his employer rather than to achieve some benefit for himself or to inflict injury on a third party. Morrisons submitted that it would be wrong to impose vicarious liability on an employer in circumstances such as this especially as there were so many potential claimants. Their lordships had no trouble in rejecting those submissions. Motive was irrelevant and to have held otherwise would have left thousands of hapless data subjects without remedy. "The risk of an employee misusing his position is one of life's unavoidable facts." "There have been many instances reported in the media in recent years of data breaches on a massive scale caused by either corporate system failures or negligence by individuals acting in the course of their employment. These might, depending on the facts, lead to a large number of claims against the relevant company for potentially ruinous amounts. The solution is to insure against such catastrophes; and employers can likewise insure against losses caused by dishonest or malicious employees. We have not been told what the insurance position is in the present case, and of course it cannot affect the result. The fact of a defendant being insured is not a reason for imposing liability, but the availability of insurance is a valid answer to the Doomsday or Armageddon arguments put forward by Ms Proops on behalf of Morrisons." That last paragraph will be one of the reasons why this case will appear in countless skeleton arguments and law reports in the future. The other is the Court's analysis of the circumstances when a statutory code displaces common law remedies. Anyone wishing to discuss this case or data protection generally should call me on 020 7404 5252 or send me a message through my contact form. The Information Commissioner's Office has just carried out a consultation on creating a regulatory sandbox "to develop innovative products and services using personal data in innovative ways" (see ICO call for views on creating a regulatory sandbox on the ICO website). The idea of a sandbox was pioneered by the Financial Conduct Authority which described it as "a ‘safe space’ in which businesses can test innovative products, services, business models and delivery mechanisms without immediately incurring all the normal regulatory consequences of engaging in the activity in question" (see FCA Regulatory Sandbox Nov 2015). "Technology goal #8: To engage with organisations in a safe and controlled environment to understand and explore innovative technology. We will establish a ‘regulatory sandbox’, drawing on the successful sandbox process that the Financial Conduct Authority has developed. The ICO sandbox will enable organisations to develop innovative digital products and services, whilst engaging with the regulator, ensuring that appropriate protections and safeguards are in place. As part of the sandbox process the ICO would provide advice on mitigating risks and data protection by design. In 2018 we will consult and engage with organisations about implementation of a sandbox." The consultation closed on Friday but the Call for Evidence makes clear that that was only the first stage of the consultation process. There will be a more detailed proposal for consultation later in the year. "what you think the scope of any such sandbox should be - should we focus on particular innovations, sectors or types of organisations? 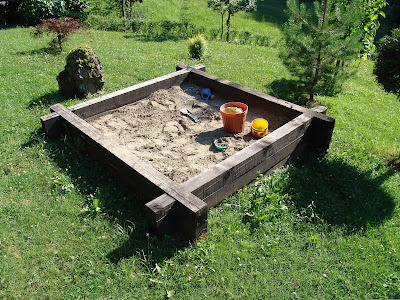 at what stage in the design and development process a sandbox would be most useful to you?" Mr Taylor also made a point that applies to innovation generally and not just to data protection law. It is often said in the USA and in some quarters in this country that red tape (which is a derogatory term for regulation) hobbles innovation and enterprise. If that were so the USA would be the most innovative nation on earth but a glance of the Global Innovation Index shows that it lies behind four European nations including the UK. "privacy and innovation go hand in hand. It’s not privacy or innovation, it’s privacy and innovation – because organisations that use our sandbox won’t be exempt from data protection law." A regulatory sandbox enables regulators to anticipate and make provision for difficulties before they arise thus rescuing sparing new technologies and businesses from the legal quagmires that dogged earlier technologies. In those days the law reacted to new technologies often imperfectly. The proposed sandbox should mitigate the privacy uncertainties affecting new products, services and business models but they won't remove all. There will remain other issues such as patenting or other IP protection, licensing, competition and so firth. I am well placed and should be glad to help fintech and other entrepreneurs or the patent and trade mark attorneys, solicitors, accountants and other professional advisers who may assist them. Should any of them wish to discuss this article or data protection generally, they are welcome to call me on +44 (0)20 7404 5252 during office houses or send me a message through my contact form. Because of the importance of its financial services industry, preserving an uninterrupted flow of personal data across national frontiers is particularly important to the UK. At present, such flow is guaranteed by art 1 (3) of the General Data Protection Regulation (Regulation (EU) 2016/679 of the European Parliament and of the Council of 27 April 2016 on the protection of natural persons with regard to the processing of personal data and on the free movement of such data, and repealing Directive 95/46/EC ("the GDPR"). 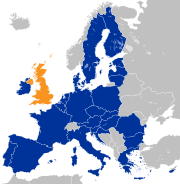 When the UK leaves the EU, the GDPR will cease to apply to this country and the UK shall become a third country for the purposes of Chapter V of the GDPR. "[i]n recognition of the unprecedented degree of alignment between the UK and EU’s data protection regimes, the UK would at the point of exit continue to allow the free flow of personal data from the UK to the EU"
though it adds that the UK would keep this under review. On the other hand, art 44 of the GDPR makes clear that data controllers and processors in the states that remain in the EU would be able to transmit personal data to the UK only in accordance with the provisions of Chapter V of the regulation. "A transfer of personal data to a third country or an international organisation may take place where the Commission has decided that the third country, a territory or one or more specified sectors within that third country, or the international organisation in question ensures an adequate level of protection." The Department for Digital, Culture, Media and Sport's guidance note notes that the "European Commission has stated that if it deems the UK’s level of personal data protection essentially equivalent to that of the EU, it would make an adequacy decision allowing the transfer of personal data to the UK without restrictions." However it adds that while HM government wants to begin preliminary discussions on an adequacy assessment now, the Commission has stated that a decision on adequacy cannot be taken until the UK is a third country. "For the majority of organisations the most relevant alternative legal basis would be standard contractual clauses. These are model data protection clauses that have been approved by the European Commission and enable the free flow of personal data when embedded in a contract. The clauses contain contractual obligations on you and your EU partner, and rights for the individuals whose personal data is transferred. In certain circumstances, your EU partners may alternatively be able to rely on a derogation to transfer personal data." It recommends businesses proactively to consider what action they may need to take to ensure the continued free flow of data with EU partners. b. on regulatory cooperation, it would be in the UK’s and the EU's mutual interest to have close cooperation and joined up enforcement action between the UK's Information Commissioner's Office (ICO) and EU Data Protection Authorities." Anyone wishing to discuss this article or data protection generally should call me on 020 7404 5252 during office hours or send me a message through my contact form. The term the "applied GDPR" is defined by s.3 (11) of the Data Protection Act 2018 as the GDPR as applied by Chapter 3 of Part 2 of the Act. According to s.4 (3) Chapter 3 applies to certain types of processing of personal data to which the GDPR does not apply and makes provision for a regime broadly equivalent to the GDPR to apply to such processing. S.22 (1) of the Act provides that the GDPR applies to the processing of personal data to which Chapter 3 applies as if its articles were part of an Act of Parliament. manual unstructured processing of personal data held by certain public authorities (s.21 (2)). S.22 (1) extends the GDPR to the processing of personal data to which Chapter 3 applies as if the GDPR's articles were part of an Act of Parliament for the whole UK. The explanatory note explains that Chapter 3 applies to manual unstructured processing of personal data held by certain public authorities because such processing was regulated by the Data Protection Act 1998 but not by the GDPR. The public authorities concerned are defined by s.21 (5) as public authorities as defined by the Freedom of Information Act 2000 or Scottish public authorities as defined by the Freedom of Information (Scotland) Act 2002. 4. This Regulation shall be without prejudice to the application of Directive 2000/31/EC, in particular of the liability rules of intermediary service providers in Articles 12 to 15 of that Directive." As I noted in The Relationship between the Data Protection Act 2018 and the GDPR 20 June 2018, S.4 (2) of the Act provides for Chapter 2 of Part 2 to applies to the types of processing of personal data to which the GDPR applies by virtue of art 2 of the GDPR. I discussed the provisions of Chapter 2 in my article. Chapter 2 also applies to the applied GDPR as it applies to the GDPR by virtue of s.22 (2) but Part 2 of Sched. 6 modifies Chapter 2 of Part 2 in respect of those applied GDPR pursuant to s.22 (4) (b). "A question as to the meaning or effect of a provision of the applied GDPR, or the applied Chapter 2 , is to be determined consistently with the interpretation of the equivalent provision of the GDPR, or Chapter 2 of this Part, as it applies otherwise than by virtue of this Chapter, except so far as Schedule 6 requires a different interpretation." S.23 (1) enables the Secretary of State to make regulations in relation to the processing of personal data to which Chapter 3 applies. S.24 makes certain modifications to the applied GDPR in relation to unstructured data held by public authorities as defined by the Freedom of Information Act 2000 or Scottish public authorities as defined by the Freedom of Information (Scotland) Act 2002. Exemptions are made for manual unstructured data used in longstanding historical research by virtue of s.25, and national security and defence pursuant to s.26, s.27 and s.28. Anyone wishing to discuss this article or data protection generally should call me during office hours on +44 (0)20 7404 5252 or send me a message through my contact form. As I mentioned on the index page for the Data Protection Act 2018, s.1 (1) of the Act states that the Act makes provision about the processing of personal data. As everyone knows, most processing of personal data is subject to the GDPR but the GDPR makes many references to national law. Even though the GDPR is directly applicable in the laws of each of the member states by virtue of art 288 of the Treaty on the Functioning of the European Union, the GDPR needs to be supplemented by national legislation to function effectively. That is why s.1 (3) provides that Part 2 of the Act supplements the GDPR. (c) conferring functions on the Commissioner, giving the holder of that office responsibility for monitoring and enforcing their provisions." S.4 (2) adds that Chapter 2 of Part 2 applies to the types of processing of personal data to which the GDPR applies by virtue of art 2 and that that Chapter supplements, and must be read with, the GDPR. Probably the best way to understand the scheme is to take an example. Art 5 of the GDPR sets out a number of principles for the processing of personal data. The first of those principles is that personal data shall be processed lawfully, fairly and in a transparent manner in relation to the data subject. Art 6 (1) stipulates that processing shall be lawful only if and to the extent that one or more specified circumstances apply. One of those circumstances is that processing is necessary for the performance of a task carried out in the public interest or in the exercise of official authority vested in the controller (point "e"). (e) an activity that supports or promotes democratic engagement." There are similar supplementary provisions on such matters as children's consent, special categories of personal data, powers to make regulations on the fees that can be charged by data controllers in exceptional circumstances, exemptions and transfers abroad. Should anyone wish to discuss this article or data protection generally, he or she should call me on 020 7404 5252 during office hours or send me a message through my contact form. These were claims by two businessmen known respectively as NT1 and NT2 against Google LLC. Both claimants had been convicted of criminal offences but, as their convictions had been spent, they sought orders requiring details of their offending, convictions and sentences to be removed from Google's search results on the grounds that the information was inaccurate, old, out of date, irrelevant, of no public interest, and/or otherwise an illegitimate interference with their human rights. The claimants also sought compensation from Google for continuing to return search results disclosing such details, after those complaints had been brought to its notice. The actiod to block one link on 7 Oct 2014 but declined to block any of the others. NT1 asked Google to reconsider his request, but Google stood by its position. On 26 Jan 2015, NT1's solicitors wrote to Google requiring it to cease processing links to 2 media reports. In April 2015, Google refused. NT1 brought these proceedings on 2 Oct 2015 seeking orders for the blocking and/or erasure of links to the 2 media reports, an injunction to prevent Google from continuing to return such links, and financial compensation. In December 2017, NT1 expanded his claim to cover a third link, relating to a book extract covering the same subject-matter, in similar terms. "In the early 21st century, when he was in his forties, NT2 was involved in a controversial business that was the subject of public opposition over its environmental practices. Rather more than ten years ago he pleaded guilty to two counts of conspiracy in connection with that business, and received a short custodial sentence. The conviction and sentence were the subject of reports in the national and local media at the time. NT2 served some six weeks in custody before being released on licence. The sentence came to an end over ten years ago. The conviction became "spent" several years ago. The original reports remained online, and links continued to be returned by Google Search. NT2's conviction and sentence have also been mentioned in some more recent publications about other matters, two of them being reports of interviews given by NT2. In due course, NT2 asked Google to remove such links." NT2's solicitors submitted a delisting request on 14 Apr 2015. It related to 8 links. Google responded promptly by email, on 23 Apr 2015 declining to delist, saying that the links in question "relate to matters of substantial public interest to the public regarding [NT2's] professional life". On 24 June 2015, NT2's solicitors sent a letter of claim. On 2 Oct 2015 they issued proceedings, claiming relief in respect of the same 8 links as NT2. In the course of the proceedings, complaints about a further 3 links were added to the claim. The claim advanced by NT2 therefore relates to 11 items. (2) if so, whether the claimant is also entitled to compensation for continued listing between the time of the delisting request and judgment." "Put another way, the first question is whether the record needs correcting; the second question is whether the data protection or privacy rights of these claimants extend to having shameful episodes in their personal history eliminated from Google Search; thirdly, there is the question of whether damages should be paid." The judge noted at para  that these were novel questions that had never been considered by the courts. They arose in a legal environment which was complex and had developed over time. The General Data Protection Regulation ("CDPR") and in particular art 17. 6. Personal data shall be processed in accordance with the rights of data subjects under this Act." NT1 alleged that Google had breached the 4th data protection principle by linking to 6 articles that contained inaccuracies. In the alternative he argued that linking to those articles breached one or more of the other principles. Google admitted that it was a data controller, that it owed a duty to comply with the data protection principles, that there were inaccuracies in the 6 articles and that it had to balance the interests of the data subject against those of public in accordance with the CJEU's judgment in the Google Spain case but offered the following three-pronged defence. First, it argued that NT1's claim was an abuse of the process of the court on the ground that NT1 was using the Data Protection Act 1998 to obtain relief for damage to reputation that would be unavailable in defamation proceedings by reason of s.8 of the Rehabilitation of Offenders Act 1974. Secondly, it contended that it had carried out properly the balancing exercise prescribed by the CJEU in Google Spain. Thirdly, it relied on s.32 of the 1998 Act which provides a limited exemption for journalistic purposes. As to the abuse of process argument, his lordship agreed that NT1 had brought this action in order to protect his reputation but he was also relying on the CJEU's decision in Google Spain. He accepted NT1's submission that "the Court should not be too liberal in its labelling of prejudice as 'injury to reputation', lest it undermine the Google Spain regime." He rejected the s.32 defence on the ground that Google's processing of personal data was not only for journalistic, literary or artistic purposes as required by s.32 (1). Google was a search engine and as such it processed personal data for all sorts of purposes. Secondly, s.32 (1) (b) and (c) required "reasonable belief" on Google's part that publication would be in the public interest and that complying with the data protection principles would be incompatible with the journalistic, literary or artistic purposes. The judge could find no evidence that Google had given any thought to the public interest. At paragraph  of his judgment, the judge considered whether the 4th data protection principle had been breached. He found a few inaccuracies in the articles to which NT1 objected but they were not so serious as to give a false impression of the crimes of which he had been convicted. Some of NT1's complaints had been insufficiently pleaded. Other complains were not supported by the evidence. Even where there were inaccuracies the judge was not persuaded to make any of the orders sought or to award compensation. "The information retains sufficient relevance today. He has not accepted his guilt, has misled the public and this Court, and shows no remorse over any of these matters. He remains in business, and the information serves the purpose of minimising the risk that he will continue to mislead, as he has in the past. Delisting would not erase the information from the record altogether, but it would make it much harder to find. The case for delisting is not made out." For much the same reason he held that the public interest outweighed NT1's reasonable expectation of privacy under art 8 of the Convention. Although the issues in his case were much the same as in NT1's, NT2 impressed the judge as "an honest and generally reliable witness who listened carefully to the questions put to him, and gave clear and relevant answers." The one article, or item, of which the claimant complained was not a contemporary report of the conviction or sentencing. It had appeared in a national newspaper over 8 years after NT2 had been sentenced. The judge found at para  that the article was inaccurate and gave a misleading complaint as to the claimant's criminality. Because of the inaccuracy the judge was prepared to make a delisting order. "My key conclusions in respect of NT2's delisting claim are that the crime and punishment information has become out of date, irrelevant and of no sufficient legitimate interest to users of Google Search to justify its continued availability, so that an appropriate delisting order should be made. The conviction was always going to become spent, and it did so in March 2014, though it would have done so in July of that year anyway. NT2 has frankly acknowledged his guilt, and expressed genuine remorse. There is no evidence of any risk of repetition. His current business activities are in a field quite different from that in which he was operating at the time. His past offending is of little if any relevance to anybody's assessment of his suitability to engage in relevant business activity now, or in the future. There is no real need for anybody to be warned about that activity." "The impact on the claimant is such as to engage Article 8. The business prejudice does not suffice for that purpose, but there is just enough in the realm of private and family life to cross the threshold. The existence of a young, second family is a matter of some weight. Even so, the evidence does not, in the end, demonstrate a grave interference. But it is enough to require a justification. Google's case on relevance is very weak. The claimant's evidence suggests that he has acknowledged his past error. The claimant's current and anticipated future business conduct does not make his past conduct relevant to anybody's assessment of him, or not significantly so. Continued accessibility of the information complained of is hard to justify. The factors that go to support that view are weak, by comparison with those that weigh in favour of delisting." Though the judge decided to make a delisting order he was not persuaded to award compensation as he considered that Google had acted with reasonable care in dealing with NT2's request. These are two cases with very similar issues and arguments but significantly different facts NT2's wrongdoing was of a lesser order than NT1's. He had expressed contrition. The article of which NT2 complained had been inaccurate and misleading whereas those of which NT1 complained were not. Unlike NT1, NT2 was trying to rebuild his life in a different business where there was no danger of his repeating his wrongdoing. He was therefore reasonably entitled to privacy. That is why the balance tipped in NT2's favour but not NT1's. The judgment is useful in that it lists the authorities to which the court will have regard in future cases and the methodology to be applied in Google Spain cases. Save that courts will cease to consider the Data Protection Directive and the Data Protection Act 1998 as part of the legal framework after 25 May 2018 the approach to issues of this kind will probably be the same under the GDPR. Finally, Mr Justice Wardle's decision has been widely reported as a defeat for Google (eg Google loses "right to be forgotten" case 13 Apr 2018), that is not completely true. Google was completely successful in NT1's case and resisted the claim for compensation in NT2's. Should amplification or clarification be required, call me on 020 7404 5252 during office hours or send me a message through my contact form.